Milford Sound entrance and tour boat near Dale Point. 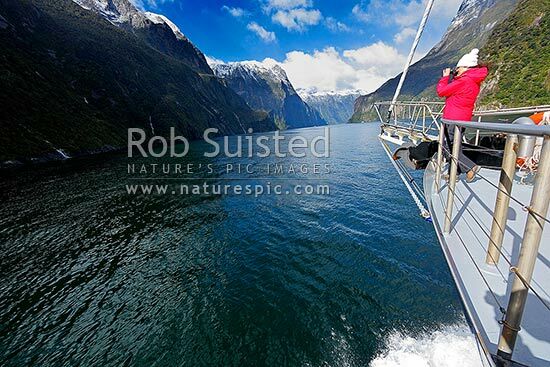 Tourist photographing the view of winter snowy peaks from the Milford Mariner boat. The Lion Peak centre, Fiordland National Park, Southland District, Southland Region, New Zealand (NZ), stock photo.